At night, we love just getting out. It doesn't matter where we go just as long as we can go somewhere! With Brady usually at school all day and me cleaning/running errands/cooking/playing all day it's nice to just get out for a bit! We have a park close to us that is so beautiful, it is our favorite! We are almost always there! 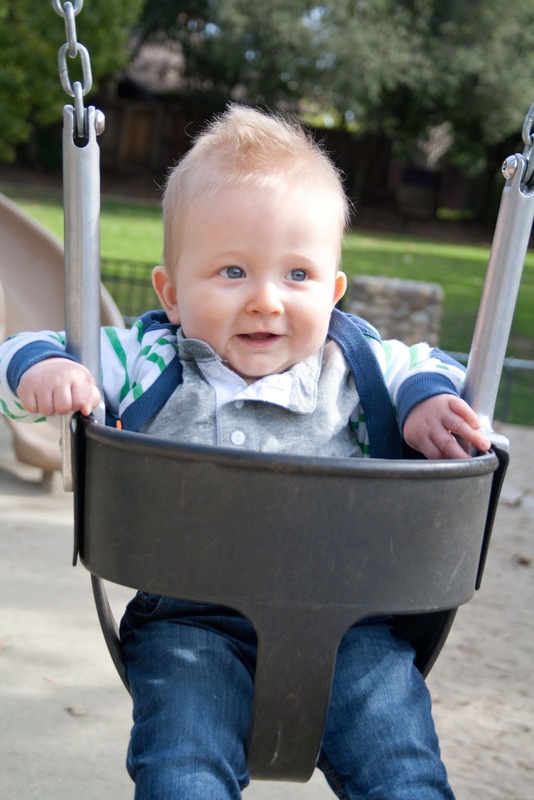 This particular outing we let Bentley go on the swing for the first time. The verdict? He loved every second of it!! He was laughing and cooing and the happiest guy in the world! I wish we had done it sooner since he enjoyed it so much :) It was so fun! Lately, I have been having so many people tell me that Bentley is starting to look more mature and like a little boy now. When I started to go through these pictures I totally saw it! He really has changed so much, I cannot believe it! Seriously, this is my favorite! I ended up making her a little bow holder, a couple of burp cloths, and some bows! You can never have too many bows when you're a girl right!? So great that you have a park close to your house! I love to spend some time outdoors! I love the pink headband for your niece! Super cute. So cute! It's so true how quickly they change too! I did a scrapbook collage for Grants first year of life with one picture from each month, it was so crazy to see the transformation in one short year! Precious! I love his hair. Ahh he is so adorable. 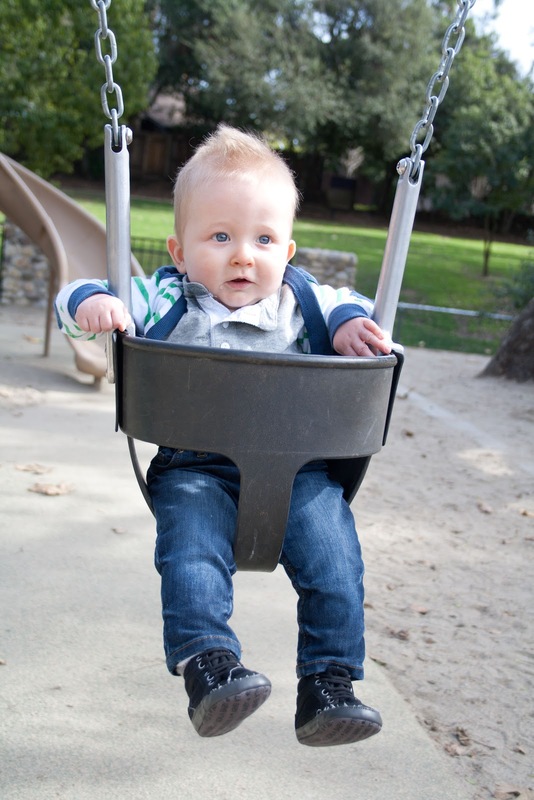 Love the picture of him on the swing! Love the bows, did you make that bow holder? Those burp cloths are too cute... did you make them? And yes you turn around and your kid grows up, haha, just you wait, there's more shock in store. Being out at the park is one of our favorite ways to spend a summers evening too. Yes, he looks like such a little man!! Love it! Love the ones of you holding him! So cute. cutest updates! so so darling..i love your blog!!!!! Oh my goodness those swing pictures are perfect!!!! He's so adorable! And your bow holder is such a perfect gift. Good job! OMG bentley is so adorable on the swing!! He is such a cutie! 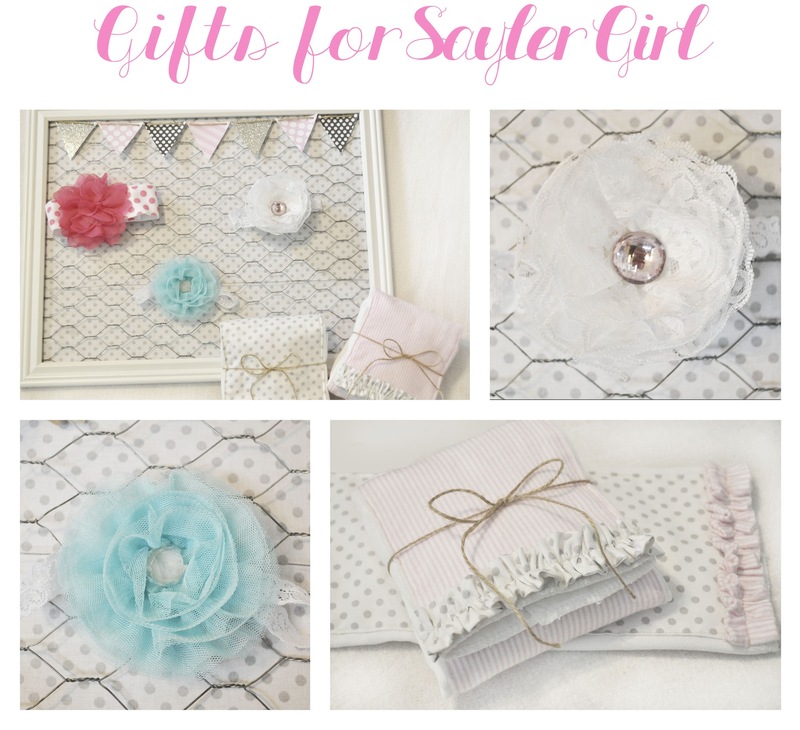 And oh my gosh - that chicken wire bow holder is precious! such beautiful pictures! Seriously, every single one should be framed! Makes me want to meet my little one! Alright, I've added you to my reading list. Sometimes I forget to do that with new blogs I want to follow. These pictures are precious. 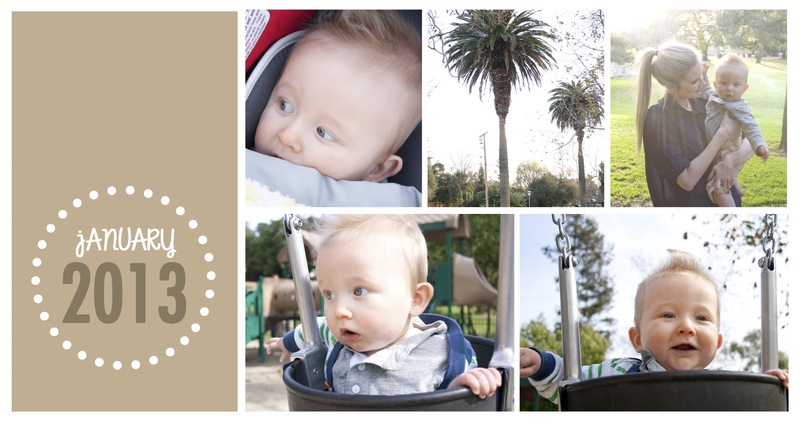 I love the park in the evening and you cannot go wrong, ever, with pictures of babies in swings. I love all of the baby stuff for Sayler. And that is the cutest name ever!!!!!!!!!!! Where do people come up with these names? There are so many cute, unique names these days. My neice just named her son Riggins. They call him Rig. So cute. Thanks for coming to my blog. Can't wait to read more. Ah, what beautiful pictures. I love how much joy the swing brings to our babies. Oh, your little guy is too cute! I love the things that you made for your sil too. So talented!! 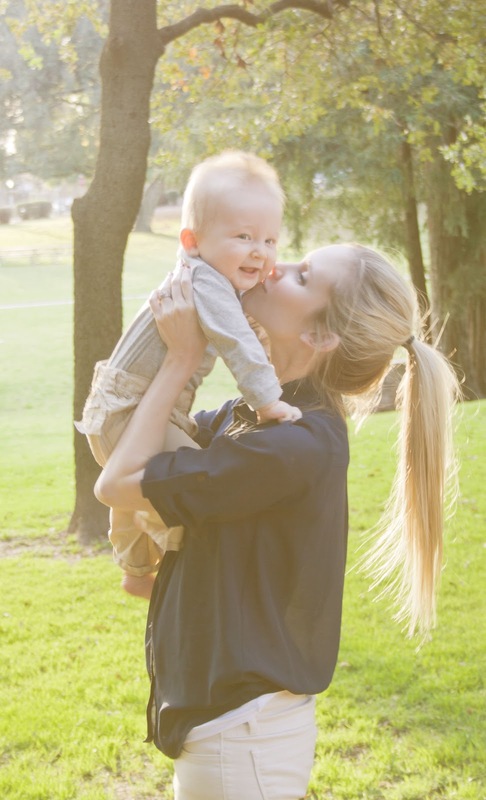 Bentley really is starting to look so much like a little boy instead of a baby now. 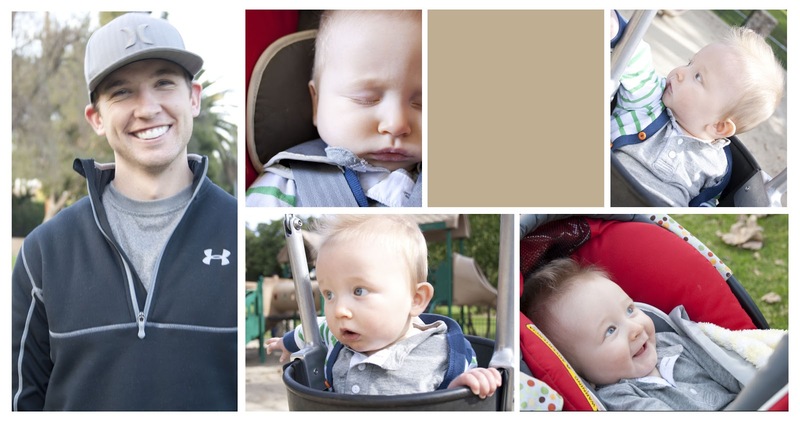 The swinging pictures are so adorable. We really like park time in the evenings as well. I love seeing all of your sweet family pictures. And that is one of the cutest bow boards I have seen! I love this! You are such a cute family. and girl, great jobs on those gifts!! too ca-ute. Oh these are beautiful photos! So so so cute! Ohhhh my goodness, I die at all the cuteness!! Wow, he really has changed! He looks so little there! Adorable photos though. Love the swing shot! Bentley, seriously, is a little cutie. Each month you'll start noticing him turning more and more into a little boy, until one day, he's all boy. Luckily my four year-old still has a little baby fat I can squeeze every now and then around his middle; although, that's starting to go away too. Enjoy these fun moments! I loved pushing little Lewie on the swing; now, he has me watch while he pumps high into the sky! LOVE your pony tail in that pic! What a darling post! You're so talented.. loving those cute gifts for Saylor!